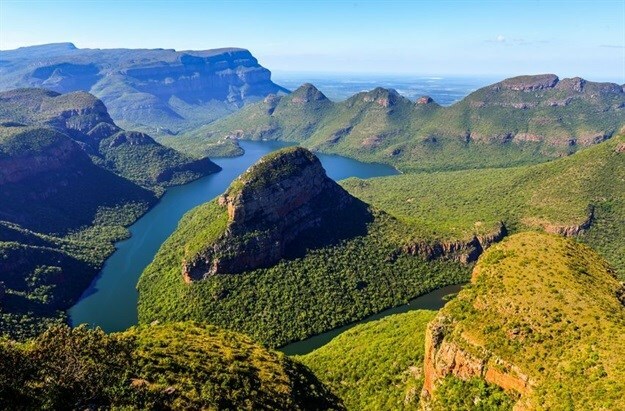 Left unprotected, South Africa's strategic water source areas are highly vulnerable to inappropriate development, according to Amanda Mkhonza, an environmental law lecturer at the University of Cape Town's (UCT) Institute of Marine & Environmental Law. While the National Water Act recognises the protection of water resources, such as rivers, it makes no mention of these vital areas in particular. Much of our surface water originates from just 22 catchment areas that receive the highest rainfall. “Think of these areas as the heart of our water supply from which our rivers flow as blood vessels, carrying our lifeblood – our water resources – to sustain our entire country. They are extremely important for the survival of South Africa’s water security and economy, and are therefore known as ‘strategic water source areas’. Yet there is no specific law in place to protect them,” she says. Mkhonza also points out that although the National Environmental Management: Protected Areas Act provides various categories of protected areas, including national parks, nature reserves and mountain catchment areas, it makes no formal reference to the protection of strategic water source areas. Hence, only 13% of these areas enjoy some form of protection. Mkhonza and her colleagues are also encouraging the Department of Environmental Affairs to implement a relatively new provision in the National Environmental Management Act, which empowers the minister to identify areas in which certain activities are either prohibited or restricted on certain terms and conditions. This could prevent damaging activities, such as mining, in that identified area. “Achieving this would be the quickest and biggest win for strategic water source areas in the short term, as it is already legally backed,” adds Mkhonza. As part of her academic research, Mkhonza published a legal review on the current levels of protection for these highly vulnerable sources, as well as analysis of the effectiveness of this protection. This research covered various natural resources laws, such as those regulating water resources, biodiversity and protected areas – and culminated in a chapter in the book Law | Environment | Africa (2018). To initiate a roadmap towards the implementation of specific environmental legislation for these areas in practice, Mkhonza facilitated an important multi-stakeholder workshop in Cape Town last year. A diverse group of stakeholders who already undertake work related to strategic water source areas – ranging from government officials and provincial planners to civil society organisations and scientists – brainstormed over two days to explore strategies and identify steps required to best facilitate the legal protection and management of South Africa’s strategic water source areas. “Providing adequate legal protection of our strategic water source areas is a constitutional obligation towards the current and future generations of South Africa, to ensure water security and water supply for all. As an environmental lawyer and researcher, I have made it my mission to help bring this to fruition,” concludes Mkhonza.